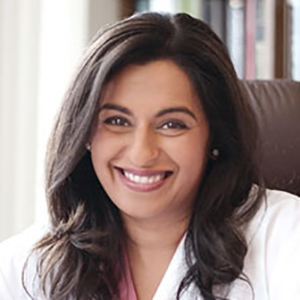 Dr. Sonya Kashyap is the medical director of Genesis Fertility Centre in Vancouver. She completed a prestigious fellowship training in New York city at Cornell University Medical College, one of the world premiere IVF clinics, under the mentorship of Dr. Zev Rosenwaks. With thousands of cases annually arriving from all over the world, she learnt from the pioneers how to achieve the best outcomes even in the most difficult cases. Before arriving in Vancouver, she had been recruited onto faculty at the University of California at San Francisco, one of the top 3 ranked medical schools in the US and a National Institutes of Health recognized Center for Excellence in Women’s Health Care. Board certified both in Canada and the US in Obstetrics and Gynecology as well as Reproductive Endocrinology and Infertility, Dr. Kashyap was also the recipient of a CIHR (Canadian Institutes of Health Research) New Investigators awards in women’s health for her work in assisted reproductive technology, fertility preservation, cancer outcomes and fertility and patient education/decision tools. Dr. Kashyap has been an internationally invited speaker, author and recipient of many research and teaching awards but she is most proud of how these experiences have translated into success for her patients.